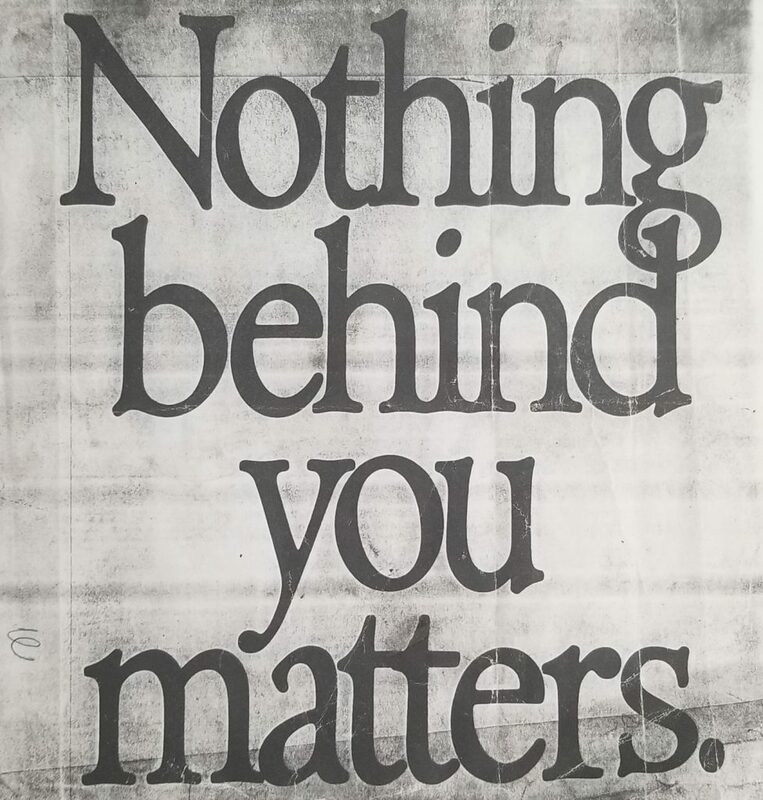 The quote “Nothing behind you matters.” was told to me when I was 14 years old by my older step-brother Howie Glover. After a weekend of racing that has ended up being one of my most memorable weekends of my entire karting career. Only recently I realized it was a variation of an old quote from the great Enzo Ferrari. During the summer of 1995, I was racing the Great Lakes Sprint Series (GLSS), where they were racing at the brand new track outside South Bend, Indiana. The weekend before the GLSS race in South Bend, the WKA Manufacture’s Cup was racing at our home track in Camden, Ohio. The weekend was one to forget as the CRG Kali Santana was too soft and over stuck the entire weekend no matter what we did. To make matter worse we had engine issues in the final. After the race the engine went back to our engine builder Ron Knight of Kart City Performance. After school on Wednesday a box was at home from Ron with the engine rebuilt and ready, only to find out when we open the box the engine wasn’t a Yamaha KT100. A shipping error had our KT100 going to Canada and we had received the 100cc Controlled. We quickly called Ron, got the 100cc Controlled shipped to Canada. With the shipping error we wouldn’t have our KT100 back in time, luckily for us Ron’s shop was in Fort Wayne, Indiana and was on the way from Lima, Ohio to South Bend, Indiana. We stopped at Ron’s shop on Thursday and picked up an engine to use for the weekend with the name “AA”. When we got to the track on Friday morning the trailer was parked and I was excited to get the engine mounted so I could get on track and learn the new track. The one think my parents didn’t tell me was I would also be on a new kart for the weekend. After the previous weekend of struggle with the kart, my parents had ordered two CRG Forza karts from Steve and Brian Jacobsen at Profile Racing. At the time, I was roughly the same height and weight as Brian Jacobsen. Both karts had seats mounted and ready to go. One kart was completely ready with a 100cc Restricted Pipe. The second kart was ready to mount “AA”. We quickly got the engine mount and fueled up. We were able to get some practice in and I was able to quickly learn the track. The engine was running great and Ron’s instruction was to add gear until you slow down. At the time, the Yamaha Junior Can class was using the 3 Hole Can. The race at South Bend was the 4 race of the year and I had finished in the Top 5 the first three races with Niki Coello, Danica Patrick and Nick Watt being the Top 3 in the class. We never had the best engine but I was able to fight for good finishes. Towards the end of the practice day, I could tell that “AA” was a lot faster than my normal engine. Race day came and the first heat I started towards the back of the 25+ kart field. I was able to work my way forward and grabbed a Top 10 finished. The second heat I started 3rd or 4th and was able to grab the lead on the first lap and cruised to the heat win. This was the first time I was able to cross the finish line first at the regional level. The new CRG Forza was working great and “AA” was running amazing. I was able to pass karts and was feeling great. I would line up 5th in the Final. I was able to get a decent start and made it through the first few corners. Before the half way point I was able to work my way around Coello, Patrick and Watt. The kart was on rails, I could put the kart anywhere and the power from “AA” was amazing. Over the next few laps I started to stretch out a lead, the only problem was I wasn’t worried about them. I was told after the race I had stretched out a lead of 10-12 karts. I was just driving and having fun. Needless to say, the nervous bug hit me when I saw the two laps to go. Come to the white flag I had a few karts lead, with a few corners to go I put two wheels after. Coello and Patrick were both able to get around me and I came home in 3rd place. Which was the best finish I had to date race GLSS. I was happy with the 3rd, but I was totally gutted for choking with a few corners to go. After the race weekend, the parents were able to talk Ron Knight to selling us the engine. The engine was always our Number 1 engine and was passed on to my step brother Andy Glover. He raced the engine for years before he grenaded it. Now back to the quote. The following week Howie came over to the house and gave me a piece of paper with the quote “Nothing behind you matters.” Of course at the time I was set upset with the choke job. Both my brothers, Howie and Andy, just wanted me to get over the mistake and learn from it. Learn that you have to keep fighting and always keep your eyes forward. I still have the same piece of paper that Howie gave me. Over the years it was hung in the garage, so I would remember nothing behind you matters. It doesn’t matter if it’s on the track or in life, the quote is very powerful. On the track it has helped me over the years to always look forward and not worry about the karts behind me. In life it has helped me to push myself to be the best. Just because you made a mistake, it’s not the end of the world. It’s how you fight and learn from a mistake is how your life is define. Mistakes don’t define you.